This week began the 7 day mental diet. The process of choosing between negative and positive thoughts. On Monday I had my firts notable thought that I can talk about. I had something to do and had left my house. Before I did leave I took my movie poster and put it on a chair as I was going to add to it when I came home. The surprise was as soon as I walked through the door there was my poster, on the floor, torn up by one of my dogs and ceremoniously peed on. My first reaction was the old mind set thought, that this was an omen to stop me from my journey. As I said, old mind set. I quickly changed the thought to this is something dogs do. It is not an omen and I need to start again. This time the movie poster will be placed in a higher and safe place. Mind you, these are dachshunds. Short legged dogs. They shouldn’t have reached it in the first place, but the youngest one is a climber. Lesson learned, never understimate a short dog. I am also a not so tall person, never underestimate my own ability to reach for the stars. If I want it badly enough, I can achieve it. 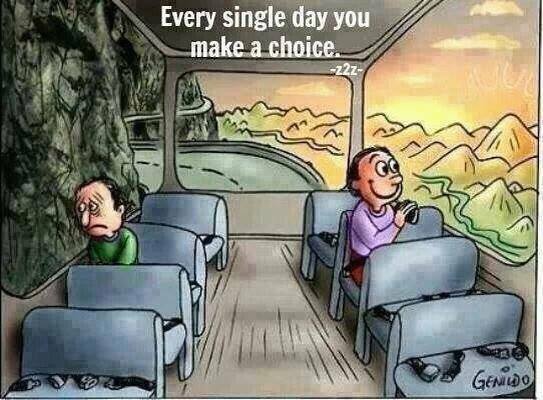 The choice is how I choose my thoughts. Good thought control that day, but then the next day at 5:30 in the morning I was aggravated by red traffic lights. Quickly changed that thought to the fact that the lights changing have nothing to do with me. They are set to work as they do and I will just have to learn to stop and wait and not be aggravated. Good thought change practice.